Esteban Cortázar likes to spend his down time in Ibiza relaxing and watching the sunset - this end of day ritual is where he got the inspiration for his sultry Spring '19 collection. 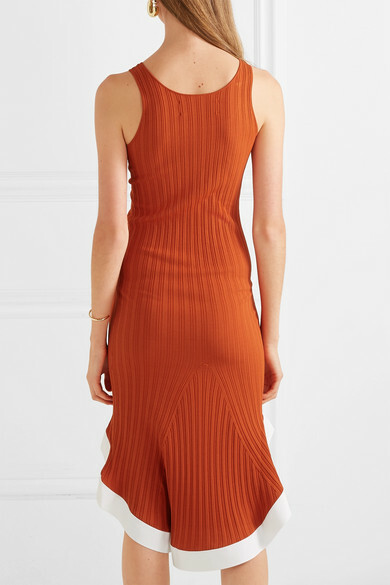 This burnt-orange dress is rib-knitted for a stretchy figure-hugging fit. 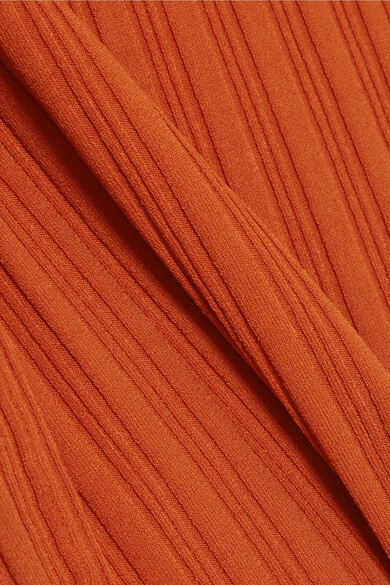 The asymmetric hem is trimmed with contrasting white fabric to hold its sculptural ruffled shape. Style yours with woven accessories on vacation. Shown here with: Loewe Shoulder bag, The Row Sandals, Ellery Earrings, Jennifer Fisher Cuffs.